Read the Article on Homelessness in America. What did you learn from the Article about Homelessness? What do you think the main cause of Homelessness? How do you think we as a community can combat homelessness? The Mayflower Compact, signed by 41 English colonists on the ship Mayflower on November 11, 1620, was the first written document of government established in what is now the United States. The compact was written to prevent problems amongst Separatists and non-separatist Pilgrims who had landed at Plymouth a few days earlier. It gave everyone a voice. This set the tone for future settlement where the people would not be ruled by one person or a king but would have say in the rules they followed. 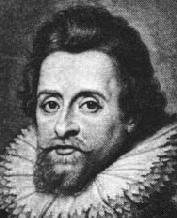 Tell me what was the Mayflower Compact? How important was this document in moving America towards the ideas of democracy? On Wednesday we began to look at the Pilgrims. or the Separatists and the first thanksgiving, What we know so far. They did not want to go to the Kings Church. King James said he would put them in prison if they did not go to his Church. So they left and went to Holland in 1608. In 1620 they decided to go the New World. They bought a ship called the speedwell. It was not big enough so they bought another boat the Mayflower. The Speedwell sprung a leak so all 102 passengers had to crowd on to the Mayflower. 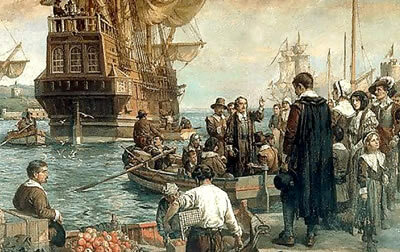 They boarded the Mayflower and started the 66 day Voyage to the New World. The Voyage was long and hard. Weather was very stormy . Many passengers got sick from the terrible waves, and crowded conditions. Finally the main beam broke and they thought they would have to turn back, but they were able to fix it using a jack made to lift house. It worked so they continued the Journey. Finally after 66 days they reached land. Many of the passengers were sick and could not stand. The ones who could went ashore and explored the land. It was winter time. They did not know the land and it was cold. They had no house to take shelter in.Things looked bleak for the Pilgrims survival. On November 11th Schools are closed for Veteran’s Day. Veteran’s day is a national holiday. This means all government officers are closed, as well as banks. We honor our soldiers who serve our country on this day. Let’s Learn a little about the History of Veteran’s Day. We are planning as a school to do a mass mailing to our Soldiers for the Christmas/Chanukah holiday. Deadline for Cards will be announced. Writing piece: Blog in a paragraphs identifying from our discussions and from the 60 minutes film some of issues facing Veterans in our Country. Choose one of these issues. How do you think we could solve this issue. On Thursday November 11th Schools are closed for Veteran’s Day. Veteran’s day is a national holiday. This means all government officers are closed, as well as banks. We honor our soldiers who serve our country on this day. Let’s Learn a little about the History of Veteran’s Day. This is a mini contest that will conclude next week. Writing can be done as home work, but must be typed here by students.